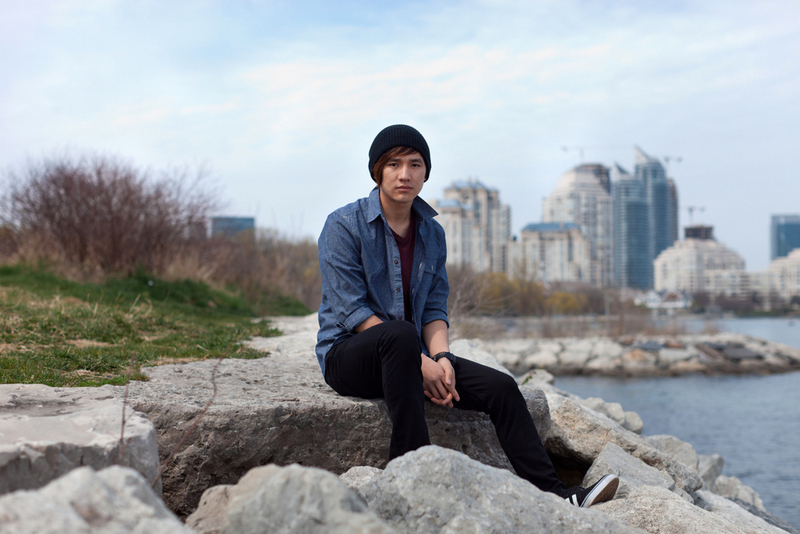 Rafael first came to Toronto after his mother and Canadian stepfather married. Leaving a tropical island with beautiful warm weather wasn’t easy for Rafael, but opportunities and safety were more promising in Canada. He arrived the same year Mel Lastman called on the army because of the intense snow. Rafael loves Toronto for its safety, the fact that there is public transit that works and he believes anyone can find a decent job. 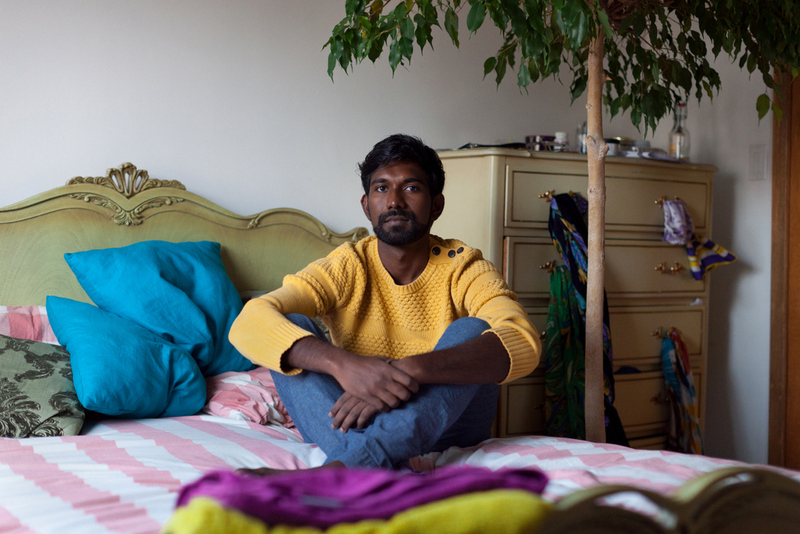 As an American citizen he could have moved to any city in the United States but has no regrets about the move to Toronto. 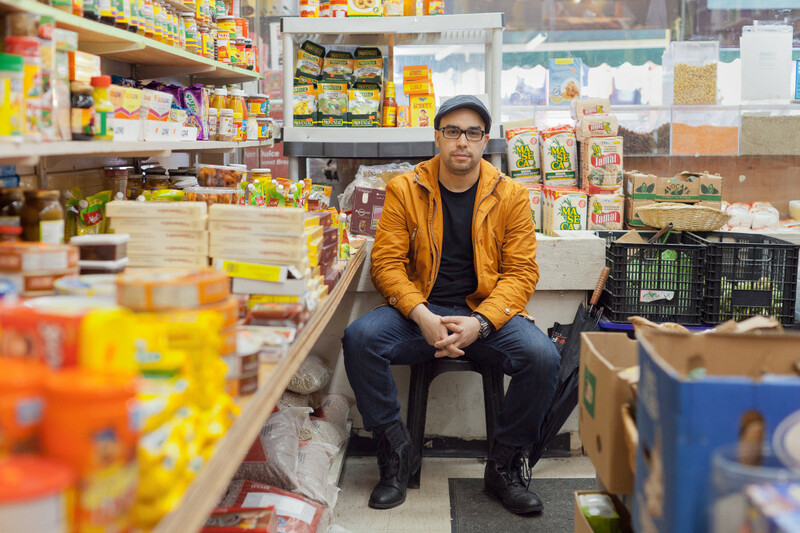 Rafael wanted to be photographed in Kensington Market’s Perolas Supermarket, a grocery that caters to the city’s Latin American community. Here he can buy red beans, rice and plantains, all of which are important parts of Puerto Rican cuisine. The market reminds him of Old San Juan, with the narrow streets and local vendors he grew up with. Planet Kensington, located nearby, is also special to Rafael, who played shows there many times with the heavy metal band he was in. Rafael explains how sofrito sauce is the base of all Puerto Rican foods, and without it they could not make the beans, rice and pork that are all staples of their diet. 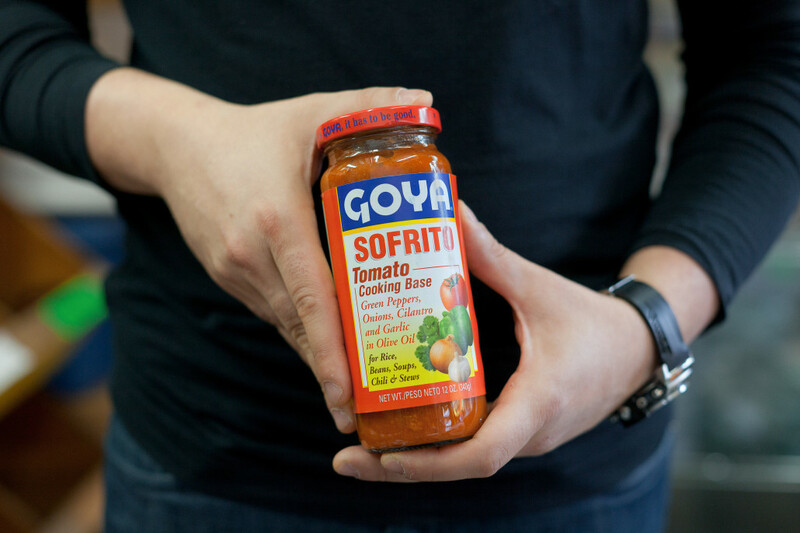 Families will often make homemade sofrito in Puerto Rico, but Goya brand is popular as well, and here in Canada it is hard to find all of the necessary ingredients to make it homemade. The smell of this sauce reminds Rafael of when his grandmother used to cook for the whole family. He has ten aunts and uncles on his mother’s side, and most have three or more children, so it was a lot of people, but grandma managed to cook for all of them, with the whole house smelling of sofrito.